Milind Soman and Ankita Konwar's wedding ceremonies are taking place on Saturday in Alibaugh. Here are some latest pictures of the lovebirds. Milind Soman and his long-time girlfriend Ankita Konwar are set to exchange their wedding vows in Alibaugh, Mumbai. The heartthrob is going to break many hearts and that’s for sure. The intimate ceremony is taking place in the presence of the couple’s close friends and family members. 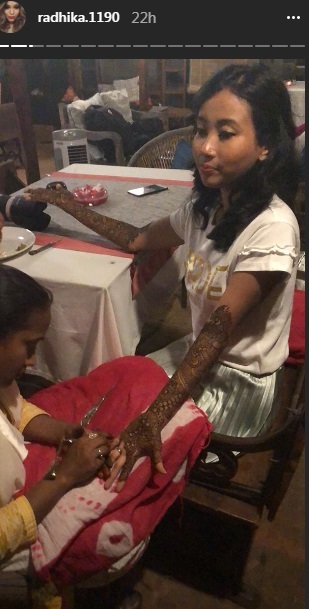 The couple is, however, not active on social media right now, but their mutual friend Abhishek Asha Mishra is posting all the adorable pictures from the Mehendi ceremony on his Instagram. 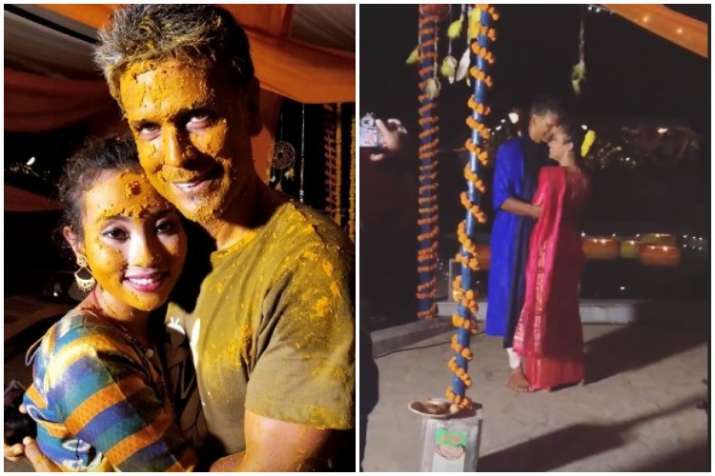 In the morning, we showed you a glimpse of Milind Soman and Ankita Konwar’s Mehendi ceremony. The bride-to-be was dressed in bright yellow lehenga with floral jewellery. Milind Soman, on the other hand, was seen in traditional white Kurta Pyajamas. Fresh pictures of the couple have arrived. 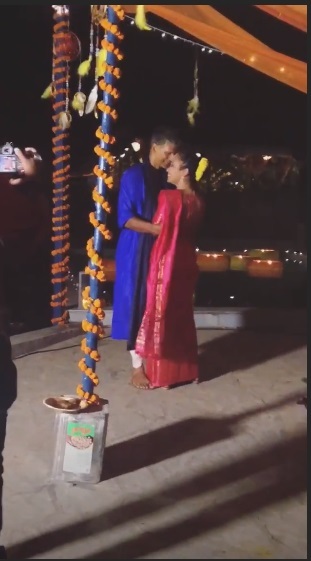 In the new set of pictures, Milind Soman and Ankita Konwar are seen wrapped in each other's embrace while they share a dance before their wedding. Milind Soman and Ankita Konwar share a romantic dance. 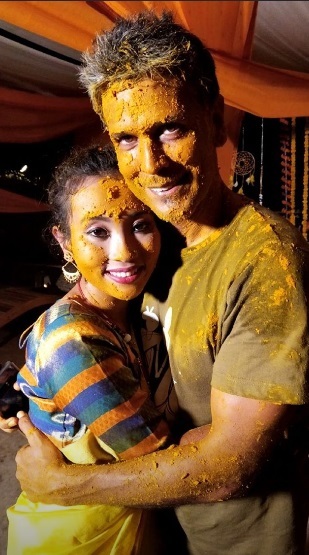 Milind Soman and Ankita Konwar in each other's embrace at their Haldi ceremony. Dipannita Sharma is constantly sharing pictures from the ceremonies on her Instagram. 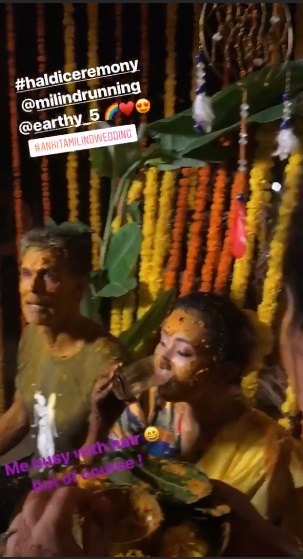 Ankita Konwar and Milind Soman's Haldi ceremony. Here are some more pictures from their Haldi ceremony. Later on Saturday, he dropped some more pictures from their Mehendi ceremony with the soon-to-be-married couple. Another guest, Anju who is also present at the nuptials also shared a picture on her Instagram. 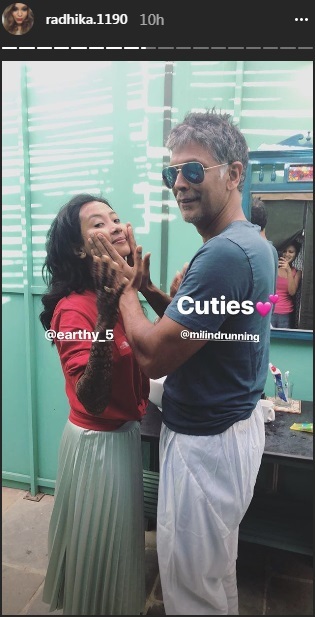 Thanks to these lovely friends and family members of Milind Soman and Ankita Konwar who are keeping us updated about their hush-hush wedding ceremony. Milind Soman’s rumoured ex-girlfriend Dipannita Sharma is also one of the guests at the wedding ceremony in Alibaugh. Here’s what she shared. Ankita Konwar and Milind Soman started dating four years ago. Konwar is an air hostess from Assam.  Earlier, the couple was criticised for the massive age gap as Ankita’s age was circulated to be 18-year-old. However, later it was revealed that she is 27-year-old and not 18. Rumours of their marriage have been doing rounds in media for a while, but the couple never confirmed the news on the social media. Now, fans are surprised to see the beautiful pictures from their Mehendi ceremony.